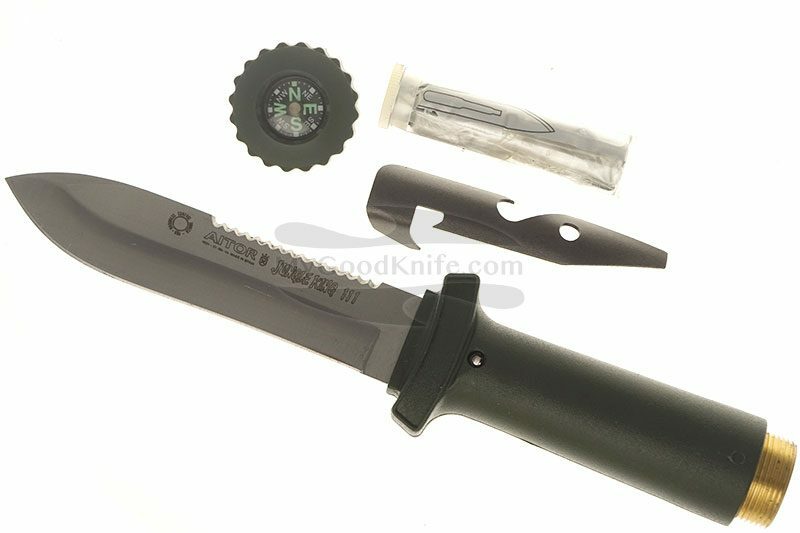 Aitor Jungle King II and III survival knives are at stock. 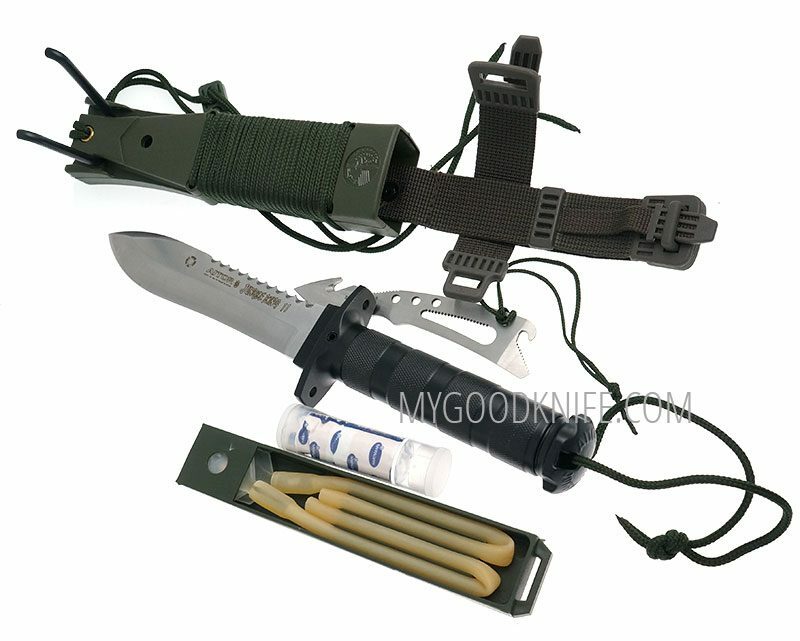 Aitor Jungle King II is a fixed tactically designed combat knife that includes a mini survival kit contained within the sheath and handle. The metal end cap is removable and the cast metal handle is hollow to provide a nice water proof storage compartment. An extremely well designed knife with the extras to make it an excellent survival tool. Blade length is 135 mm, total length is 275 mm. Aitor Jungle King II goes with: Fishing Kit, Sewing Kit, Scalpel, External Applications, Nippers, Pencil, Compass, Magnesium Pill, Pill Capsule, SOS Symbols, Signal Mirror, Latex Tubes, Forked Pole, Multi-Function Skinner, Nylon Cord. Available also in black. Aitor Jungle King III is smaller than Jungle King II. Total length is 220, blade length is 105 mm. The end cap is a compass which is removable to reveal small survival kit stored in clear acrylic tube and a small multi-tool in the handle. The sheath features black coated stainless metal arms at one end that flip out to serve as slingshot. Storage compartment on back of sheath features latex powerbands for slingshot. Survival set includes: Fishing Kit, Sewing Kit, Scalpel, Nippers, Pencil, Compass, Latex Tubes, Forked Pole, Multitool.